Jesus Christ, who committed no crime and was innocent, hung in the middle of these two thieves. Luke 23:39 (KJB) And one of the malefactors which were hanged railed on him, saying, If thou be Christ, save thyself and us. This criminal mentioned in the above verse of scripture remained in the grip of sin unto his death upon the cross. He never showed any bit of remorse or sorrow for his sin. He was destined to hell and desired to finish his physical life unto the bitter end by remaining on this deadly eternal course towards a perpetual address in hell for all eternity. Luke 23:40-43 (KJB) But the other answering rebuked him, saying, Dost not thou fear God, seeing thou art in the same condemnation? 41 And we indeed justly; for we receive the due reward of our deeds: but this man hath done nothing amiss. 42 And he said unto Jesus, Lord, remember me when thou comest into thy kingdom. 43 And Jesus said unto him, Verily I say unto thee, To day shalt thou be with me in paradise. This other criminal, who was placed on the opposite side of Jesus Christ to hang for his crime, came to rightly comprehend what sin is according to God’s estimation. He desired to acknowledge God’s holy standard set in place at the beginning of time, rather than his own naturally skewed view of sin. This thief genuinely sorrowed about his own sin in opposition to God’s righteousness. His consciousness was not seared but softened upon hearing the Truth Jesus Christ which was divinely revealed to him as he hung on the cross. This man understood his heart condition and actions were wrong and that his death was a deserved punishment from God. In his heart, this man sincerely desired to have fellowship with God forever. God gave this man the innermost desire of his heart, eternal favor and godly fellowship forevermore. Yes, there was a third criminal, named Barabbas, who was given clemency for his crime and was released to simply walk away free, not having to face any merited consequences of his crime, which was death on the cross. Did you know that any man can take this same walk today and obtain freedom rather than face the dreadful eternal consequences of his sin which earn him a perpetual address in the pit of hell? Jesus Christ, who was innocent, was sentenced to hang to death on the cross in this criminal Barabbas’s place. Jesus Christ willingly took the place of the released criminal’s deserved place. Wow, this sounds exactly like the freedom God gave you and me. Yes, you and I are like Barabbas, a tried and convicted thief, a low-life criminal who was sentenced to death for his many crimes upon this earth. Yes, Jesus Christ, His Only Son took our deserved place upon the cross, granting us instead His unlimited unmerited favor, mercy, and grace. 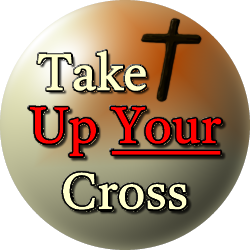 Yes, Jesus Christ willingly hung on the cross for you and me. He took OUR place. We DESERVE to hang on the cross for breaking the law (many times over). No man can keep the law. Only Jesus Christ can keep the law. Really, it is true, since sin entered this world, every man is born in a natural position of faring no better than a common criminal, and I bet you thought you were such a good person. Well you are wrong, there is no one naturally good in this world for we have all been born with a natural bent towards evil and wickedness. You and I, and every person have been given the opportunity for having the gift of life and to be set free from the clutches of sin. We are all given an opportunity to walk with God and to flee away from the grip of sin. Just as this criminal, Barabbas, was given a chance to walk away from the consequences of his evil choice(s). Perhaps he ran quickly away from this city, without looking back over his shoulder, the very moment he was set free from his sentence of death. But, sometimes mankind chooses to ignore the call of freedom from God. He drags his feet which are heavy laden with sin. Or perhaps he shuffles his feet and runs a bit forward then falls a few steps backward as an opportunity to be released from all his sin flashes on by him yet again. This “spiritual Him Hawing around” is a down right flagrant insult to the goodness and grace of God. Perhaps a person who stalls too long will forever miss his or her opportunity to find reprieve because of the hardness of his wicked heart, or because death comes knocking at his door before he chooses eternal freedom for the condition of his dark and dead spiritual soul. Wow! It is hard to imagine how quickly the pendulum of a fickle crowd can swing in the other direction so quickly! The temperament of these men and women swayed into an opposing direction against Jesus Christ in just a few days! Perhaps it was because this crowd did not get exactly what they had expected. The Bible tells us they had perceived He was a coming king. Perhaps they desired Him to be just like other earthly kings in whose leadership style they were quite familiar. Maybe they expected a man who would be a military giant and was sorely disappointed with His meek and mild-mannered disposition. The Bible does not give us the exact reasoning which caused them to turn their back on Him, but we know that Jesus Christ certainly did not share the same perspective and outlook as did this unruly crowd. Just days before they had warmly cheered and welcomed His arrival, waving palm leaves before Him as he rode gallantly into the city on a donkey. Barely a week later this same crowd was calling for His death. Isaiah 55:9 (KJB) For as the heavens are higher than the earth, so are my ways higher than your ways, and my thoughts than your thoughts. This verse simply serves to remind us that we can never out guess or manipulate the ways of God. He does not comply with man’s reasoning and His ways are way past our figuring out! We might not be able to make sense of all this, nor could they in that day, but God understands it all and it was according to His will. I am sure you have been disappointed in circumstances of life a time or two and, so have I. Perhaps you have even been disappointed in Jesus Christ a few times. What do you think when it seems He fails to meet your expectations? Notice, how I said YOUR expectations because that can be quite different than the will of God upon our life. God never makes mistakes and any disappointment we come face to face with in our lives is never because of any act or will of God, for He always has our best spiritual interests at heart. When a man is disappointed, it is always because he has failed God in some way. These people had failed miserably by misjudging the presence, purpose, and power of Jesus Christ, by choosing to place Him in the middle of two criminals, even though He was innocent. The authorities and rulers serving on this fateful day made errors in their judgment. 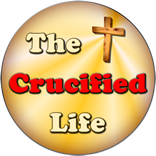 However, they were perfectly used of God to carry out His flawless will on the three crosses upon Calvary. Do you think that God could never use you? This is proof that God can use anyone; criminals, crowds, and Christians to bring His will to fruition. A criminal found freedom this day, and another criminal was hung to die for his sin, and Jesus Christ, who was innocent of any wrongdoing, WILLINGLY chose to die for our sin. Yes, He chose to die for your sin and my sin so that we could choose to live forever. Jesus Christ died so that you can be free from the nature of sin at work in your heart since birth. Thank you for your continued interest in this devotional series “Uncovering the Cross of Calvary.” The next devotion in this series to be released soon is titled Calvary- The Unconditional Love and Redemption.